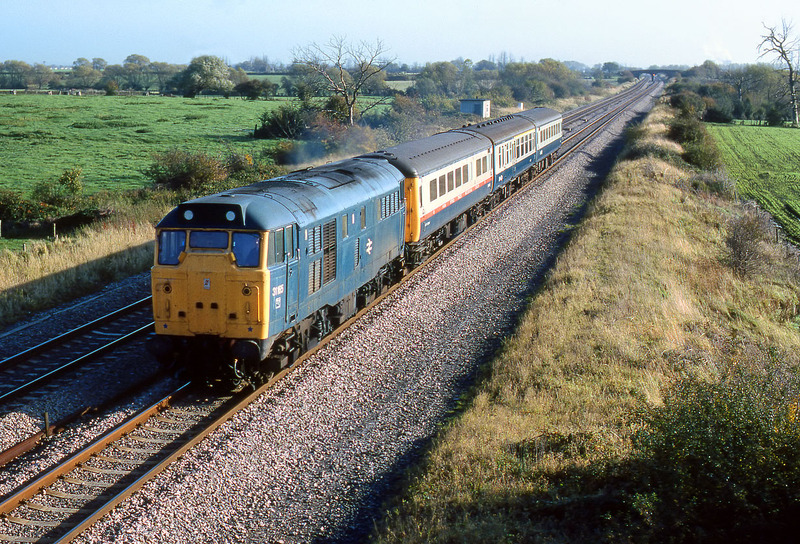 31165 heads west past Circourt Bridge, Denchworth, on 27 October 1982 with a short test train. The leading coach is the Mk2 High Speed Track Recording Coach DB999550, easily distinguished from a distance by its red bodyside stripe. Note the dead elm trees on either side of the line, victims of the 1970s outbreak of Dutch Elm Disease.